Smartphone storage is sometimes a touchy subject. With our handsets being capable of shooting 4K (some can even do 60 FPS!) resolution clips, the days when 16 GB was "enough" are long gone. Couple that with the fact that people do like to carry around actual movies or even their personal music library on their phones, and those precious gigabytes might melt away rather quickly. It's a hot topic to discuss how much is "enough", but thankfully, even Apple has budged in the past couple of years and steadily improved the storage capacities of its bottom tier devices. The cheapest 2018 iPhone — the iPhone XR — starts off with 64 GB of storage and upgrading that to 128 GB is only $50 more. Android manufacturers, as always, go super-generous with their options, with Samsung even going as far as adding a 512 GB storage option Note 9, which supports expansion via an additional 512 GB microSD card. Now, that's a ton of storage! We decided to ask you — how much of your phone's storage are you using right now, in an attempt to see if 64 GB is "enough" and find some sort of golden middle we all agree upon. 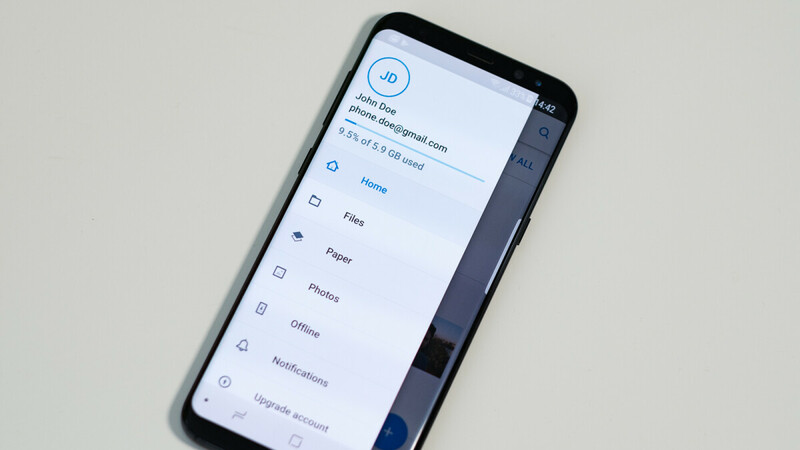 Most voters claimed to have less than 64 GB of data on their smartphones right now, which tells us that it's certainly a storage amount one can "live with". However, about 30% say they are between the 64 GB and 128 GB thresholds. And that makes sense — we'd say that's a pretty good golden middle to strive for when picking your next smartphone. Just to make sure it'll hold your clips, apps, and media, for the years it's going to be with you before you inevitably upgrade. How much storage are you using right now? For me, 64gb on my 8 plus is only not enough if i'm not backing up my photos and videos to the cloud. I’m using the moto z2 force with 64gb internal and a 64gb memory card. I’m good, that’s enough for me. If you have an iPhone with 64GB. It's not ok at all, because they don't have micro sd card like most android phones. That's why I love my Note 9 with over 800GB of total storage. Doing great here. Only 18gb used out of 64gb. 768 on my Note 9, and 256 on my Max. I'm set. Apps and games are constantly increasing in size, slowly bloating the more we use them. Storage seems to be more about future proofing the phone, especially with the data potential 5g can offer. Some people don't need more than a few gb of free space and some fill up to the top. I would like to see more options for all carriers and models. 64gb does seem to be bare minimum for phones, currently, but that will quickly be chewed through. And this is why I said the Nokia 6.1 was a no sell for me. 32GB isn't enough storage. 64GB is still very much passable and should be the standard. I have 768GB of storage with my 512GB internal + 256GB micros card. But I've already used up 60% But I just need to offload some 4K videos from summer and holidays. But for what flagships cost and that is all of them, they all should be doing what Samsung is and that is offering 128GB of base storage. Especially on any phone that coats $1000 or more anywhere in the world. This is a trend everyone needs to follow.